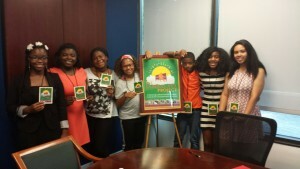 The Jambalaya Project is a Raleigh based youth enrichment program. This series of music journalism workshops introduces youth to cultural diversity through music and the arts while enhancing their reading, writing and social skills. This year marks its 10 year anniversary and was created by Judith Guest, a professional writer and owner of Perfecting The Persona. To date, it has enrolled over 300 y outh. This Summer’s participants are Ivori McNeil, Christina Alston, Zoe Brannon, Jaylen Peacox, Kira Matthews, Kourney Privette & Koury Privette. 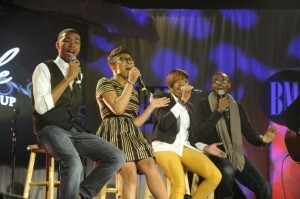 They conducted the following interview with the Grammy nominated and Stellar Award winning The Walls Group. The Texas based contemporary gospel group on Kirk Franklin’s Dallas based Fo Yo Soul record label. It’s a joint venture with RCA records. They consist of 4 siblings; Darrel, Rhea, Paco and Asia. They’re just a chip off the old block from a musically inclined family of 10. Their signature sound and heart for God lends credibility to the motto “Everything is bigger in Texas!” You’ll find that they can’t contain it. The revelation can come anytime and anywhere whether you find yourself on the subway or at a concert. Their music will command you to rise from your seat, dance and rejoice.